Morgan Radford began her career as a University lecturer before she decided on a career change and towed the path of journalism which has not only brought her gratifications but has also brought her fame and recognition as well as wealth. She has worked with reputable media networks like ABC News, Al Jazeera America, CNN, as well as NBC News where she currently mines her trade. Let take quick peek into her bio, net worth and family lifestyle of this NBC News personality and her other surrounding facts. Morgan Kelly Radford was born on November 18, 1978, in Greensboro, North Carolina. She has Cuban-African heritage even though by birth she is an American. She attended Grimsley High school before she proceeded to Harvard University, graduating in 2009 with a degree in Social Studies and Foreign Languages in French and Spanish. Morgan Radford may not have done journalism in school but she ended up making her way to the Cable News Network (CNN) where she interned for Morning Express with Robin Meade. The following year precisely in 2010, she got a Fulbright Scholarship and subsequently taught English at the Durban, Kwa-Zulu Natal in South Africa. Same year when FIFA World Cup was hosted in South Africa, the country of her assignment, she worked behind the scene for ESPN as a production assistant in the world cup broadcast. 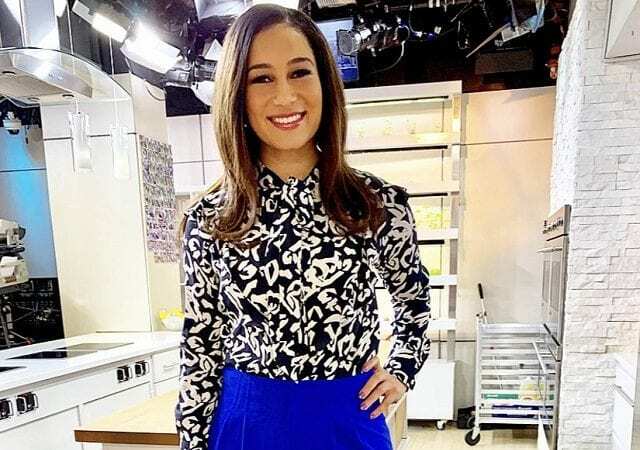 Having garnered little exposure in the media practice, she sought for a place to acquire more technical knowledge thus she enrolled in the Columbia University where she completed her Master’s Degree in Broadcast Journalism between the years 2011 to 2012. During her second degree at the Columbia University, she was named a fellow of Joseph Pulitzer II and Edith Pulitzer Moore. In 2012, the broadcaster became ABC News Now anchor and there she held sway. With the high level of expertise and professionalism, she showcased in her previous jobs, Al Jazeera America made her one of their correspondents in 2013, where she popularly became the anchor of the weekend Morning newscast. At the moment, Morgan Radford is an employee of NBC News and MSNBC. She joined the outfit workforce in September of 2015 in the capacity of a correspondent in New York. She is making waves and has a good working relationship with her colleagues. What Is Her Salary and Net Worth? It is no doubt that Morgan has made fortune in her profession as a broadcaster. Having interned in CNN that brewed her passion for journalism and having also worked for outfits like Al Jazeera America, she sure has been smiling to the banks. It is reported by Payscale that the annual salary of an NBC reporter is between $67,500 and $75,000 while the annual salary of the Networks correspondent is pegged at $201,000 or $97 per hour. Looking at this statistical monetary breakdown, Radford’s position in the network as a correspondent, we can estimate her salary at the range of $105,353 or more. Her net worth is under review but should be in million(s) of dollars. Morgan Radford was born to Dr. Lily Kelly Radford and a good looking father that no one has been able to unravel his name. Her mother worked as a clinical psychologist and currently works as a management consultant. Her grandfather was said to be a railroads worker whereas her grandmother was an immigrant from Jamaica. Despite Morgan’s tight schedules as a correspondent, she still finds time to spend with her parents while also sharing the pictures of the happy moment with her parents and colleagues on her social media handles. From the picture Morgan shared on her Instagram page on April 10, 2018, she has a striking resemblance with her father. Who Is Morgan Radford’s Husband? The 5 feet 5 inches tall media guru has kept everyone on their toes trying to figure out whom she shares her love with. All attempts to unravel the man she dates or who she is probably married to have proven abortive. But in an Instagram post dated the 27th March 2019, she uploaded a beach picture taken in Varadero Cuba, of herself with a man she referred to as ‘Dining Hall Dave’. ‘Dining Hall Dave’ is a gangly soccer player she had previously met at Eliot dining hall years back. She further gushed that he was the best partner any girl could ask for, perhaps he is the man in her life. Although she is not yet married, we think she is secretly seeing someone at the moment and if the Instagram post is anything to go by, we can not but wish the cute couple very best in their relationship.